Congratulations to our Big Writers of the month for September! Keep up the amazing writing! 3AK - Maths - Polyhedron Modelling, Strike A Pose! 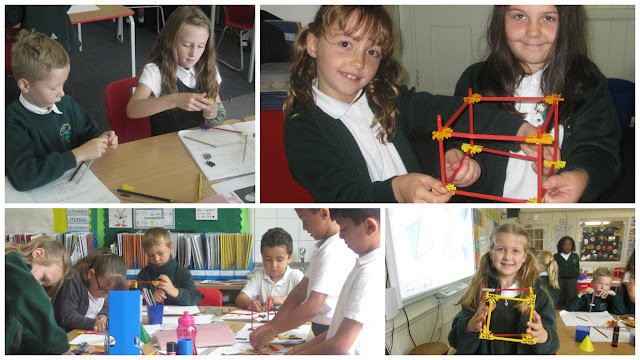 Today in Maths, we made different polyhedrons using KNEX! Do you know the difference between vertex and vertices because we do? 3AK - English - Acting Up! During today's English lesson we were honing out acting skills! We are just awaiting a call from BAFTA! 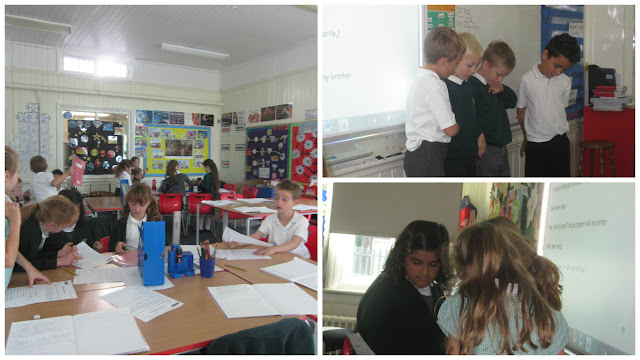 Shaking Up Shakespeare with Year 6! Year 6 were lucky enough to have the fabulous Anthony Glenn visit again, and he helped us put on a fantastic version of the bard’s immortal play, Romeo and Juliet! We worked really hard to warm up and get into role; we had to think about the motivation of the characters we were playing, and how they might feel and react to different situations. We also had a talent show half way through our time with Anthony, so that he could include some of our skills in the show! Joel wowed us all with his fabulous piano playing, and Alex, Sachi and Jessica all sang beautifully (Alex with the support of Rocco, Reece, Zain and Deshawn), while Ella and Ruby provided percussion for Megan, Ellie-Mae, Millie and Sachi to sing over. We had to concentrate really hard to remember our lines, as we only had few days to prepare for our performance. First, we showed the rest of the school our version of the play. Then, after coming back to school in the evening, we dimmed the lights and showed our parents, family and friends what we are made of! Year 6 put on an incredible performance: it was funny, moving, full of fantastic music, and everyone left on a high! It just goes to show what amazing work we can produce when we put our minds to it! Thanks again to Anthony Glenn for working so hard to get us ready (and for the chocolate! ), and thank you to all our parents and guardians for your continued support! 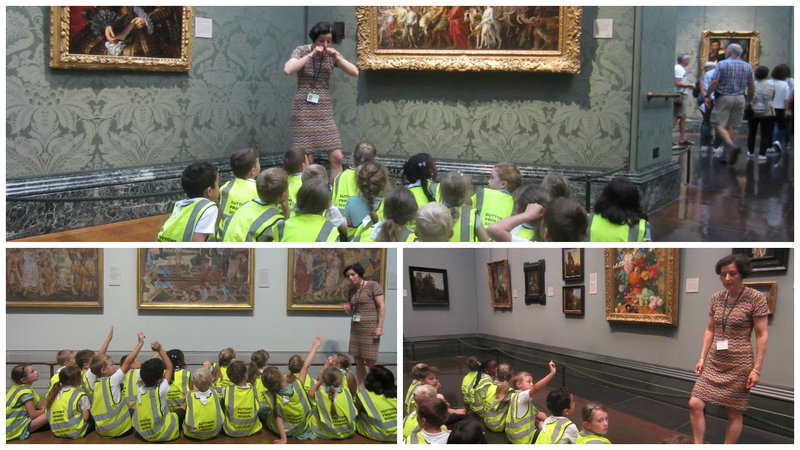 3AK - National Gallery Visit! Today the whole of Year 3 went with Year 2 the National Gallery, to look at The Roman Triumph by Rubens as part of our Take One Picture project! We also saw two other paintings! How is our new school getting on? 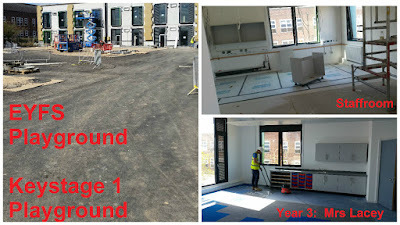 I visited the new school yesterday with some officials from the DfE. The builders are working very hard to complete our building on time. on most days there are 50 workers working on it. The side of the building that faces the school will be one of the last sides to be completed. Lots of work has taken place internally. Take a look at these pictures. 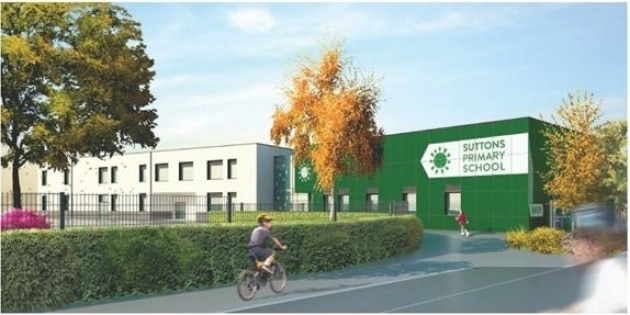 An artist's impression of the new building for Suttons Primary School. 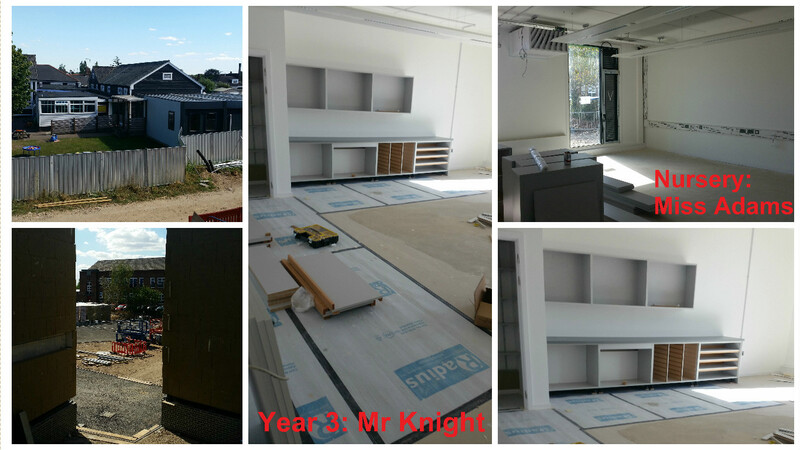 Picture: Suttons Primary School. 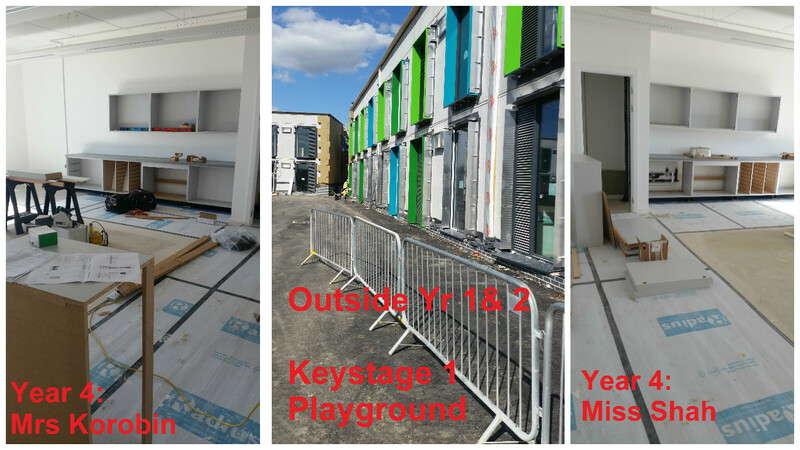 A primary school will be celebrating 82 years of schooling before pupils and teachers begin a new chapter in their new school building. Suttons Primary School, Suttons Lane, Hornchurch, will be moving into a new building due to be completed in October. But staff are now inviting present and past governors, staff, volunteers and pupils who have been involved with the school over the years to re-visit Suttons on Friday September 30 between 4pm and 7pm. The evening is to celebrate the end of an era in the current school building, which was built as a temporary school in 1934 just before the end of the war and is due to be demolished in the Spring of 2017. Old school records, headteacher diaries, roll books, pictures and artefacts will be on display for guests to enjoy but there is still time for people to get any of their old photos or information included. Refreshments will also be provided during the evening. 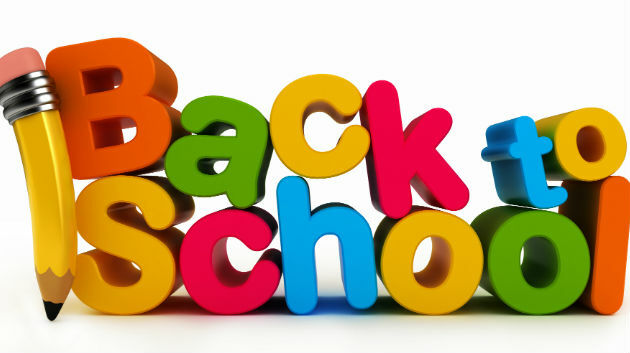 We look forward to all the children starting tomorrow; 7th September 2016 at 8.35am.